In this eloquently written and elegantly conceived book, Karmen MacKendrick speaks for voice—and speaks up for it—in much-needed new terms. MacKendrick ask us to recognize that voice matters in part because it is matter. The bodily and musical qualities of voice have rarely, if ever, been given their philosophical due. 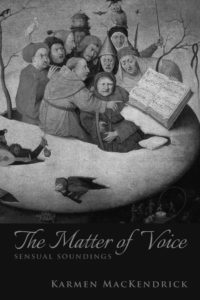 Moving across a wide span of concerns from literature to theology, The Matter of Voice shows why that gap in our thinking should be filled and proceeds to fill it memorably. See more at Oxford University Press. This book is a joy to read. MacKendrick’s personal voice comes through in a highly-engaging, indeed, seductive way. Her approach combines classical philosophical analysis with theological theory, and brings these two disciplines into conversation with each other in original ways that intersect with contemporary theories of sexualities and genders. 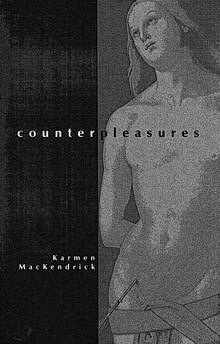 While s/m per se may seem to be a ‘marginal topic,’ MacKendrick uses s/m and other ‘counterpleasures’ to address a broad range of issues that are of the utmost concern to anyone working in the field of contemporary cultural studies. See more at SUNY Press. A poetically uttered, wonderfully wise, and richly insightful invitation to enter into the phenomenon of silence. MacKendrick is equally at home with thinkers such as Blanchot, Bataille, Levinas, Heidegger, Augustine or Eckhart, and poets such as Celan and Holderlin. Her book isn’t simply an intriguing read for anyone interested in the limits of language. It’s also an opportunity for personal transformation. 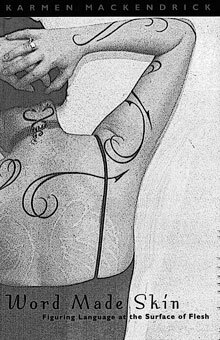 We’re all in her debt for this sensitive and beautiful gift. MacKendrick’s Word Made Skin offers an exciting and innovative philosophy of desire. 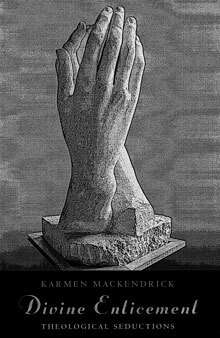 This deeply engaging work, which reads at moments like a poem, a prayer, or a love letter, performs dazzlingly what it also analyzes incisively–namely, the mutual touching, enfolding, and cutting-across of bodies, of words, and above all of bodies /and/ words that meet (as they can only meet) at their limits. MacKendrick’s philosophy repeatedly touches upon theology, and her book should be read by theologians as well as philosophers and others interested in desire, language, embodiment, and the relation between them. See more at Fordham Press. In the Republic, Plato’s Socrates calls for lovers of poetry to speak in prose about the benefits of poetic instruction and pleasure; this requires respect for tragedy, but not obsession with it. Karmen MacKendrick is one of those rare thinkers—too rare in a dispirited republic who speaks the language that Socrates is calling for. 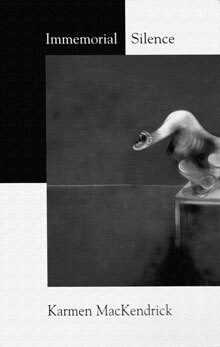 In Divine Enticement, she does for theology what Anne Carson does for classics: she restores intrigue and eros to erudition. 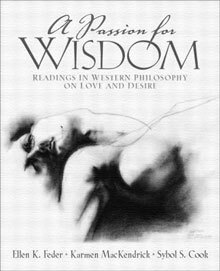 A collection of short and excerpted works by the great thinkers of their day, this book focuses on the philosophy of love and desire. Excellent introductions offer readers brief biographies of the thinkers presented and provide historical context, enabling them to see connections and to appreciate the continuity across and the historical breaks among these works. Both seduced by Augustine’s text and seducing it in return, as they themselves confess, the authors offer a provocative and enticingly fresh guide through Augustine’s Confessions. 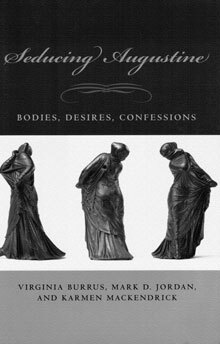 Compelling and compellingly varied, their readings highlight the excess, paradox, and performative quality that mark the complex eroticism of Augustine’s great work. 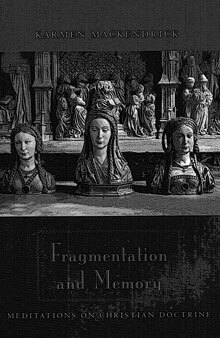 This volume is a deeply insightful set of studies, well-theorized and thoroughly interdisciplinary.